« 12 Most common drilling mistakes! A-Z How to tell your drill bits apart! Today we will delve into the world of drill bit identification. Essential if you want to use the right drill bit for the right purpose. Looking in your toolbox and wondering how you got a collection of so many drill bits and should you buy new ones or try to use the ones you already own? Yes, there are many types and forms of drill bits for many different uses. If you’ve never drilled into any kind of material or even if you’re a professional then this list may be a handy guide to identifying drill bits stuffed into your toolbox and when they are best used. So before we start, he’s a quick run down of the main types of drill bits. As I say, there are many different drill bits however they fit into the following families; Wood and timber and plastics, Masonry and stone, Tiles and glass, Metals and other materials. 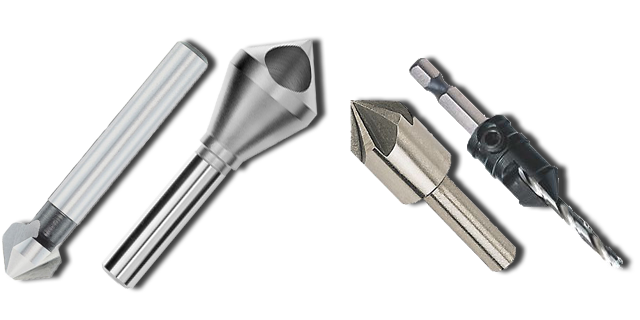 Traditional split point metal drill bits were originally designed to be used with milling machines, lathes or pillar drills. Their use was adopted by hand rotary drills over the years, however this is why most drill bits snap. With the use of a machine the factors of keeping the drill bit straight, constant pressure and exact speed can be controlled, whereas while hand drilling all these factors are constantly changing no matter how professional or for how many years you have used drill bits. In general Metal cutting drill bits can also be used on many other materials, such as wood, timber, plastic, various metals up to and including steel, rubber and other more dense materials. You will find that some drill bits have an additional coating TiN, or TiCN. 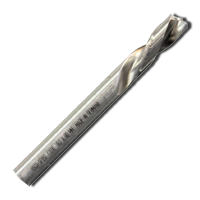 This is only for dissipation of heat quicker from the surface of the drill bit, and does not aid in the cut. Tip: When using a metal cutting bit to cut metal always use a lubricant to aid with the cut. The purpose of the lubricant is to cut down on friction between the drill and the material being cut. Therefore cutting down heat and helping the drill to cut through the material. Warning: NEVER use WD40! WD40 creates a thin film of oil over whatever you’ve sprayed it on and stops squeaks, but will not help with your drilling lubrication. As soon as the drill gets hot the WD40 will dissipate. Drilling lubricant is specifically for purpose. Unlike the metal drill bit, there’s many different types of bit that can drill wood and timber. We’ll go throught most of them in this post. Also unlike wood no lubricant is used with wood, although beeswax can be used to lubricate anything cutting through wood. Once again with the masonry drill bit, lubricant isn’t really used. Sometimes water is used with the harder types of slate or more dense materials. 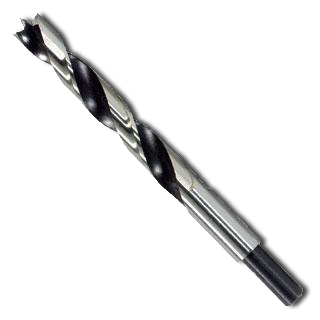 Unlike masonry drill bits many glass and tile drill bits are ostensibly used with water as a lubricant. So on to our topic. The A to Z of drill bits and what they are used for and how to spot them. 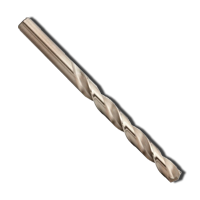 The auger drill bit is basically a wood bit. Using the principle of the archimedes screw the drill takes the material from the front of the drill to the rear, it has a small screw type point which burrows into the wood or timber keeping the drill in the wood while the cutting face shaves off the wood. B is for Brad Point. 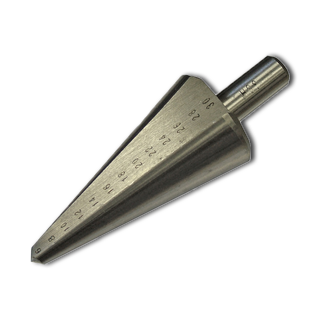 The brad point, dowel or lip and spur bit, is similar in design to the auger bit. The tip is the major difference, as it has three points, one on each of the initial cutting faces and one in the middle of the tip. Unlike the auger this bit does not pull the bit into the wood. C is for Centre drill. 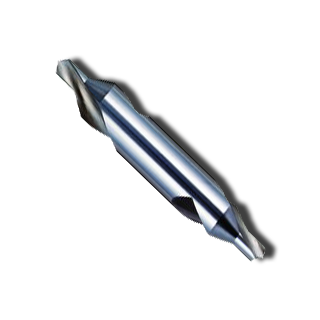 The centre drill has a tip on both sides and is basically used for countersinking. 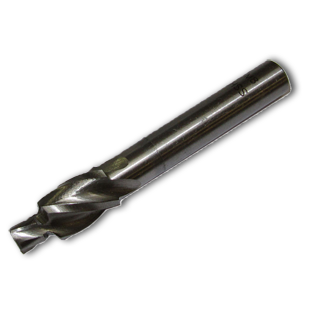 Also this is our first HSS drill bit, so can be used with steel, other metals, woods and plastics. Generally if it’s HSS (meaning High Speed Steel) then it will cut a multitude of different materials. C is for Cobalt drill bits. This drill bit is a metal drilling bit, but is for harder materials, HSCo High speed cobalt. C is for Conical drill. The conical or cone drill like the step drill is used for making holes bigger. Usually only for sheet material, otherwise you will end up with a tapered hole. Also another steel and other metals drill bit, although may only have one cutting face. The cone drill is more accurate with its cut than the step drill as the step drill has to forced through the material down each step. Similar to the countersink, but for socket cap screws so they fit flush with a flat surface. Usually used together with a standard drill bit to drill the center hole to length. Now, like wood drill bits there are many different types and for different purposes. All either for wood or for metal. There are just four examples above. The two on the left are metal countersinks (A three flute HSS, then a deburring countersink) and the two on the right are dedicated wood countersinks (A rose head countersink and a drill countersink combination). D is for Diamond drill. There’s a lot of myths concerning diamond drill bits. Yes diamond is hard so potentially would make a very good drill bit, however it doesn’t have a good cutting edge to cut steel, wood and so on. It’s used for cutting tiles, glass and similar materials, and it’s used abrasively, like a carbide grit holesaw or core drill, which is also diamond. They could never get a sharp enough edge, and big enough diamond to cut into hardened steel to make it worthwhile. The bit would cost a fortune! F is for Flat bit. The flat bit is probably the most common drill bit around. It’s for wood and usually has the size printed on it. It has two cutting edges on either side and a point at the front for keeping the drill steady in the material. It’s also known as the spade bit. 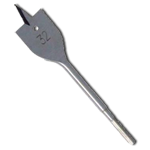 There is also a type of flat bit which is a cross between an auger and a flat bit, called an expansive bit. This has a fitting attached so the size of the drill bit can be changed to the size of the hole you need it to be. F is for Forstner bit. 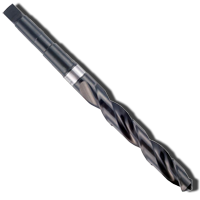 The Forstner drill bit is another version of wood bit. However it has more teeth around the cutting edge, aiding to a cleaner finish. Or as in the example above just a much larger cutting edge. G is for Glass or tile Drill. 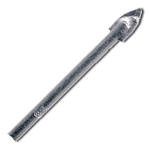 Easily recognised because of the brazed on carbide tip and the look of the tip being flat without any noticable cutting edge. Was originally invented to be used by hand, and very slowly with a lot of pressure. Lubricated with water to cool the tip down. A common problem with using this drill be is running the drill too fast without any lubrication. A good tip for starting the drill on the slippery tile or glass is to put scotch tap or cellotape across the tile where you want to drill, then the drill will grip on the tape until it starts to cut into the material. H is for Hexagon shank drill bits. These type of drill bits come in many types, including pozi, philips, slotted and actually metal, masonry and wood drill bits. 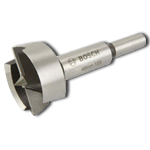 The hexagon shank helps the drill bit to stop spinning in the chuck or can be used in a bit holder type driver, usually magnetic. It’s not recommended to use screwdriver bits in a power drill as these are not clutched to use them, this will lead to the screw head or the driver bit being rounded off or damaged. H is for Holesaw bits. 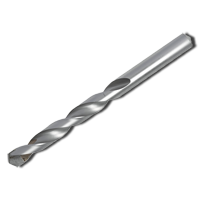 Used in combination with drill bits to create holes, this type of drill/saw has many different types from Bi-metal; cutting through steel sheet, plastics, other metals and wood. Cobalt; cutting into harder materials and steels. TCT grit; cutting into very hard materials. Diamond grit; cutting into tiles, glass, slate, ceramics and similar materials. H is for HSS (high speed steel) drill bits. 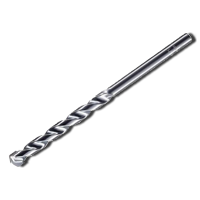 The most common type of Steel and other metal cutting drill bit. Before HSS was invented they used Carbon steel drill bits to try to drill metals, but this was found to be next to useless. The picture shows an HSS morse tapered shank drill bit. M is for Masonry drill bits. Once again there are quite a few different types of masonry drill bits, later you’ll see SDS which uses a clip-in system. 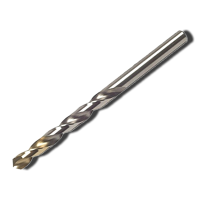 Basically masonry drill bits have a carbide tip brazed onto the front of the drill shaft. Very similar to the SDS, TCT and glass drill bits. 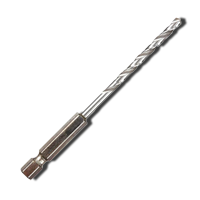 However, the masonry drill bit has it’s faces and flutes ground in a different way so it can drill into masonry, breeze block, concrete, asphelt and many other similar abrasive surfaces. M is for Metal drill bits. Basically because this section is so large, I’ve clumped them all in together. 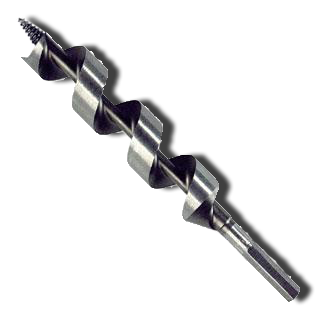 I could probably do a post just on different types of Metal drill bits, from double ended body drills (which are basically drill bits on both ends), to HSS, to HSco, to Tin coatings, Ticn coatings, fast spiral(for Stainless Steel and hard materials.) , slow spiral(for softer materials like brass) Blacksmith’s drill bits which have a reduced shank, left hand or right handed spirals the list goes on. Starting with Carbon steel (very flimsy drill bits) all the way up to armour piercing (you have to pass a MOD test to be able to buy these, and need to account for them) There are many drill bits around, the above picture is of a TiN coating on a HSS drill bit, one of the popular drill bits around, the TiN coating is suppose to disburse the heat and extend the life of the drill bit. M is for Multi-construction or a does-it-all drill bit. Basically this drill bit has been designed to drill through everything except tiles/glass. Masonry, steel, wood, plastic. There is only one problem with this drill type, and that is that once you’ve cut throught masonry of any kind, you will file the edge off and it won’t cut through wood, metal or plastic very well any more. Rendering the drill bit useless except for masonry. The saw drill is an interesting bit. it has teeth one either side of it’s cutting flutes enabling it to saw through material sideways. 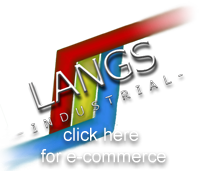 Very useful for softer materials like wood and plastics or sheet materials. S is for SDS Drill. 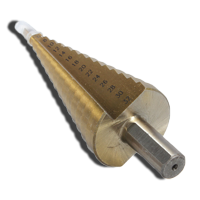 The SDS plus drill bit is probably the most common of SDS drills and is a push fit system fitting into a dedicated masonry drill. As well as masonry, there a bits that can drill into reinforced concrete and drill through the rebar material. 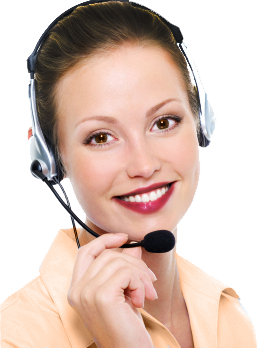 Once again there’s many myths and misunderstandings about what SDS stands for. It doesn’t mean “Special Direct System”, “slotted drive system” or “special direct system” as it was created in Germany by Bosch. SDS actually stands for “Spannen Durch System” and was created by Bosch in the 1970’s, although Bosch international have changed its meaning in English speaking countries to to mean “special direct system” in order to keep the SDS title uniform across the world. S is for Spot Weld Drill. 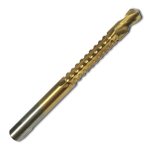 There are a few types of spot weld drill bits. The two above are the main versions. On the left is a drill bit guided spot weld drill. On the right is a HSCo (cobalt) drill bit which is harder than HSS. The drill on the right tends to only have a single flute. 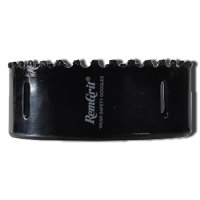 Both are used to go through the usually harder and/or thicker material of a weld or spot weld. 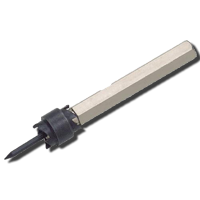 As stated above with the conedrill, the stepdrill is for opening holes in sheet material. The advantage of the stepdrill is that the steps on the drill are parallel, and therefore the hole won’t be tapered. T is for TCT Precision drill. 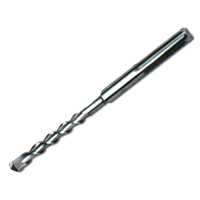 Basically another drill for drilling very hard materials. Tungstan Carbide is man made and grown into drill tips, which like the tile/glass drill mentioned earlier are brazed onto a steel shaft. 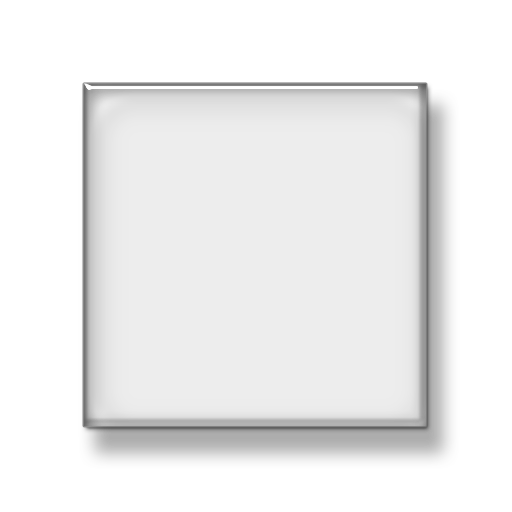 The major difference between the TCT and glass drill is the that the TCT drill has been sharpened and honed to a sharp edge on both cutting faces. This makes TCT bits one of the best drills for drilling very hard metal surfaces. So there we have it! A comprehensive list of the available drill bits and how to tell them apart. 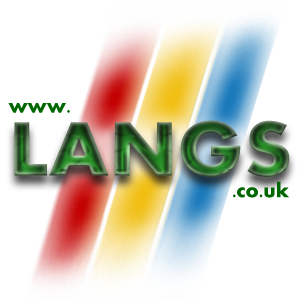 I shall add a new post to this in a couple of days that will have a close up of the different types of drill bit tips. Masonry, Steel, and wood. 6 Responses to A-Z How to tell your drill bits apart! In the last few days I have found two drill bits with round swirly ends. One belonged to my Dad born 1910. The other fell out of an old makita bag purchased resale. I am wondering what they are for. Thanks! Did you ever do a post on different types of Metal drill bits (i.e., double ended body drills, to HSS, to HSco, to Tin coatings, Ticn coatings, fast spiral, slow spiral, Blacksmith’s drill bits, left hand or right handed spirals …)? I have some bits I’m trying to identify and didn’t see them on your list. I could send a pic with your email.